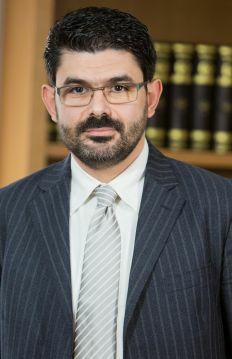 Dimitris Angelakis was admitted to the Athens Bar Association in 1999 and is qualified to appear before the Court of Appeals. He has vast experience in the area of company & commercial law, particularly in the establishment of companies, drafting of constitutional documentation, setting up of subsidiaries of foreign companies and negotiation and drafting of commercial contracts. His area of expertise involves acting in disputes regarding all types of commercial agreements, advising clients on issues arising from termination of contractual relationships and representing them in negotiations, at court and in settlement proceedings. He is also experienced in the area of public procurement, advising both participants and strategic investors in their involvement in, and awarding authorities in their running of, tender proceedings, including concession and PPP projects. Athens Bar Association (1999); Qualified to appear before the Court of Appeal.